I'm not sure what the white version is. Poo in winter? 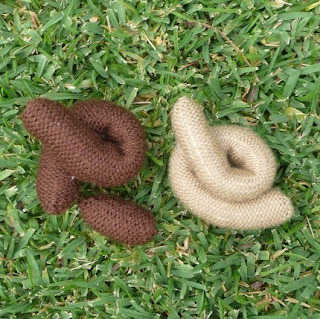 Says the seller: "You are getting the pattern to make exactly what you see - dog poo." C'mon! The white is the more, uh, aged dog poo.